Chaharmahal and Bakhtiari Province (Persian: استان چهارمحال و بختیاری‎‎, Ostān-e Chahār-Mahāl-o Bakhtiyārī ) is one of the 31 provinces of Iran. It lies in the southwestern part of the country. Its capital is Shahr-e Kord. The people of this province have a history of having a simple living and being a capable people who are determined and effective warriors and fighters whenever circumstances made it necessary. They have gained such a reputation as being excellent, if not the best, horsemen in Iran. The people of this province, while having the more common Pahlevani wrestling/combat style of the deep rooted traditional Zurkhane, which exists everywhere in all provinces, also have their own style of wrestling/unarmed combat as well (as do other provinces). The style is called Jangi (Jang means War and hence Jangi "war'ish" or "war like"). Abstract- In this page, some of the most important tourist attractions such as monuments, handicrafts, language, cities, clothing, local souvenirs and diverse intact landscapes of Chaharmahal va Bakhtiari (ChB) province, located in Iran, will be introduced and studied. It is called “The Heaven of Nature Lovers and Tourists” because the shape of mountains, the rate of atmospheric precipitation, the height above sea level and the various climates in this province, all have brought about diverse intact landscapes. We introduce some important aspects of ChB for tourists including cultural heritage, picturesque and beautiful landscapes, amounts of precipitation, climate in different seasons, springs and rivers and different cities and regions. Chaharmahal va Bakhtiari (ChB) province is located in an area of 16411 square kilometers between 31 degrees and 9 minutes to 32 degrees and 48 minutes of north latitude and 49 degrees and 28 minutes to 51 degrees and 25 minutes of east longitude from Greenwich meridian . This province is located in Iran in central part of Zagros Mountain Chains and is bounded on north and east by Isfahan province, on northwest by Lorestan province, on west by Khouzestan province and on south by Kohkilouye province  that its map is shown in Fig. 1. ChB highland has one of the highest amounts of precipitation in Iran . 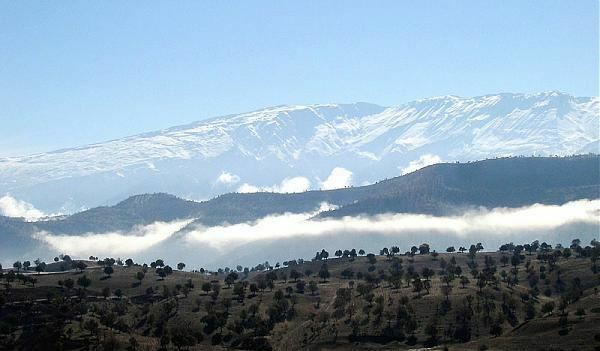 There are many snow-covered mountains in this province among which Zard-Kouh, Haft-Tanan, Kelar, Sabz-Kouh, Hezar-Darreh, Sefid-Kouh, Haft-Cheshmeh, Kelk, Mili, Saldran, Jahanbin and Rig are the highest . Although this province constitutes only 1% of Iran’s land area, 10% of the fresh waters flow in it: two major rivers, Karoun and Zayandeh-Roud spring from ChB heights [5, 6]. The shape of mountains, the rate of Atmospheric precipitation, the height above sea level and the various climates in this province, all have brought about diverse intact landscapes . According to 2011 census, the population of this province is over 900,000 of which more than a half are settled in cities, and the others in villages and some are nomads . Due to the existence of the biggest tribal society, Bakhtiari tribe, and thereby historical nomads’ paths, there is an attractive realization of permanent and seasonal residences with specific manners, customs, cultures and local clothing given to this province by nomadic culture [9, 10]. Based on the latest national divisions, this province has 9 townships, 25 districts, 40 towns, 50 village units and 820 villages. The townships include Shahr-e Kord, Ardal, Boroujen, Ben, Saman, Farsan, Kouhrang, Kiar and Lordegan. ChB province is a mountainous region of which 76% is mountains and hills, the other 24% consists of alluvial plains and plateaus. The skirts of Zagros grant us so many treasures, picturesque and beautiful landscapes that many call ChB the heaven of nature lovers and tourists. Springs and rivers, sanctuaries like Qeisari, Sheida, Hellen, Sabz-Kouh, Tang-e-Sayyad and oak forests, the green gold of Zagros, with a diversity of more than 923 precious plant species , 294 animal species and unique perspectives are a little drop of this heaven. Gandoman and Souleghan ponds and specially Choghakhor International Pond in fertile plains of province are some of the interesting places which provide appropriate living conditions for migrant birds, some plant species and marine creatures. ChB is the realm of Islamic Revolution treasures and the land of heroes and heroines with a pure and untouched culture; people who have a nature-taught humor, firm as Zard-Kouh and humble like its face-down tulips. This land is the cradle of Omman and Dehghan Samani, Pejman and Darab Bakhtiari, Asef Ghahfarokhi, Sardar Asa’ad Bakhtiari, Alimardan-Khan Bakhtiari and holy defense martyrs; and figures who glow in the sky of knowledge and jurisprudence, culture and art, Mashrouteh Movement, piety and love of freedom . ChB has various climate. The rains are mostly affected by Mediterranean flows. These flows come from the west and the southwest and have an effect of about 8 months on the region. The rain starts from October. In January it will go to the top and in May it will decrease, %19 of rain is fallen in January more than %90 percent of rain is between November to April. Less than %10 percent of rain is from June to October. The west height of the province with yearly 1600 mm rain is the rainiest regen. The heights of Sabzkooh has an average of 1400 mm, the southwest with 900 mm rain are the second and the third respectively. As a matter of rain, the lowest is the East and the north East area with yearly rainfall about 250 to 300 mm. The average of the rain in the whole province is about 560 mm . Because of the mountainous region of the province, and knowing the fact of the height effects on the temperature, there will be different regions as matter of temperature. The maximum absolute temp has been recorded in Lordegan synoptic station with 47.5° and the Min absolute Temp in Dezzak climatological station with -34.5° . The most frequency freezing days, has been taken place in 1962 with 171 days in Chelgerd (Koohrang) the least absolute freezing days also has been taken place in Lordegan station with 58 day (the year 1998). Now, ChB invites you to a party where you get freshened up from its fountains and saturated from the most salubrious water in Iran i.e. Dimeh Spring . 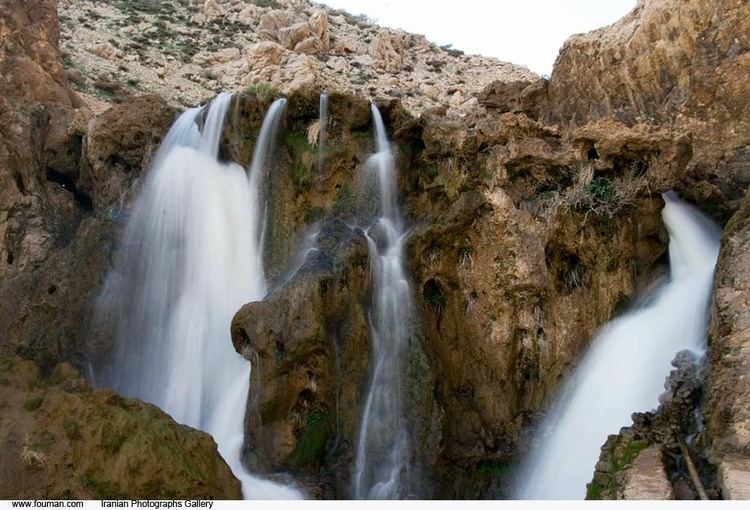 It invites you to the feast of waters in Lordegan waterfalls so that you get to know the diligence and patience of its people in Dezpart, Taraz, Tang Faleh, Khoda-Afarin and Sefid-Kouh nomads’ paths. It opens a window to you through which you can see the architecture of Khan-Evi and Shalil caravanserais, the artistic work of carvers and painters in Chaleshtor and Dezzak castles, the hidden history of Sardar Asa’ad Fortress and Pir-e-Ghar and Dasht-e Laleh shown in Fig. 2, and hundreds of other places; through this window, you can appreciate a little bit of the national heritage of this ancient land in the conjunction of nature, history, culture and art. As one of the Southwestern provinces in Iran, ChB can be considered as an outstanding region mostly because of being stretched out in the heart of central Zagros. Deep fault valleys such as Tang-e-Zendan and Ma’adan village, high walls with major morphological types, unique anticlines and synclines of the 3rd geologic period, permanent ice caps with ten meters of snow in Zard-Kouh, salt domes and ice caves are some of the thousand geological features of this area which are not only exquisite, but can also be used as a living and dynamic Geology lesson. Water-filled rivers, seasonal ponds and lakes, waters reserved behind dams all have provided potential facilities for sports like rafting, fishing, water skiing, and swimming shown in Fig. 3. Green plains and meadows, beautiful and not so crowded paths with temperate weather, woods and knolls throughout the province and the skirts of snow-covered mountains with slight slopes have brought about sports like mountain climbing, skiing, cycling, hiking, rock climbing, horse riding, martial arts and local sports, and so on. Every year the whole family travels through green pastures, plains and mountains with flocks and herds from winter quarters to summer quarters and vice versa. The majority of Bakhtiari nomads are called “Haft-Lang” and “Chahar-Lang” who are settled mostly in north, northwest, west, south, southwest, southeast and central areas of the province. They spend winters in summer quarters of Khouzestan, the summers in winter quarters of cities like Farsan, Kouhrang, Ardal, Kiar, Lordegan and Boroujen. These people speak Bakhtiari that is one of the branches of Pahlavi language and, fortunately, has not changed so much. The culture and the lifestyle of these people is unique and has a historical origin. This culture has affected all aspects of their life including their clothes style to the extent that their clothing has traces of the local culture and is beautifully unique. On the whole, it can be said that the Nomads culture and lifestyle is one of the richest of its kind. Various geographical conditions along with ancient background have created unique and wonderful villages which are important both from a natural and from a historical point of view in spite of a few major differences. In these villages, farming, gardening and animal husbandry are really flourishing and apiculture is also carried out traditionally. Another tourist attraction of these villages is different hand-woven stuff whose raw material is obtained from animals and wild plants. Physical and spiritual heritage left from the ancestors of hardworking and resistant people in the land of ChB is represented in historical buildings among which are ancient monuments, holy places, resting places of great and famous people, museums, discovered items; social and religious rituals, literature, stories, dialects, proverbs, poetry, music, birthdays and funerals and special occasions ceremonies such as Nowrouz national feast; social lifestyles like nomad migration, rural living, urban living and other living styles. Handicrafts and traditional artwork which are a part of the rich culture of this province and precious memorial of our ancestors- manifesting the artistic heritage of these people and link their long-lasting customs, art and creativity. All these abounding strengths excite the tourists who adore culture and civilization. Spiritual heritage is the abstract part of the cultural heritage which is exemplified in rituals, traditions, beliefs, rites, stories, anecdotes and oral literature of each area. Let’s take a look at the language, religion, clothing, poetry and music of this land. This part of cultural heritage has been damaged the most in the recent century and many of its instances are fading and being forgotten. That is why knowing, studying and introducing this part of the cultural heritage is very important. Language: Persian language in different dialects such as Bakhtiari dialect, rural dialect and dialects similar to Isfahani dialect are spoken in different parts of the province. Also a considerable population in the province speaks Turkish which is a variety of Gashghaei Turkish. Religion: Almost all people of the province are Moslem and Shiite, and are very respectful of the Imams and Saints. Clothing: Bakhtiari Men’s clothing includes felt hat, Chougha, Shoular Dabit, shawl, Pa-Pich (something worn around the shin) and Espadrille (cotton shoes or Giveh). Bakhtiari women clothing consists of head scarf (which is called Meina or Lachak), headband, blouse, puckered trousers (Tonban Gheri), vest, Chador and footwear which have their roots in ancient Iranian clothing. On the other hand, Chaharmahali men wear hat, shirt, shawl, cloak and trousers. Chaharmahali women’s clothing includes head scarf, blouse, skirt, vest and Chador. Poetry and music: This province is the cradle of poets and gnostics such as Afsar Bakhtiari, Hossein Pejman Bakhtiari, Omman and Dehghan Samani, Mirza Habib Dastan Beni, Daftari, Talebpour, Asef Ghahfarokhi and others whose valuable works still exist. Regarding music, it can be said that Chaharmahali music is inspired by the flowing spirit of life. In Chaharmahal music reflects all the feelings a person can experience in different moods. That is why in various ceremonies music plays an important role. Handicrafts: handicrafts are a part of cultural heritage and a memorial from artists who have created the most beautiful and lasting figures in spite of having few tools, they preserved this noble art and inspired the culture of this area in their works; so we can call them the guardians of their culture. There is no doubt that art in ChB has a special power which is derived from people’s culture. Shahr-e Kord, the center of ChB province which is 2,006 square kilometers big. Its population is 283,210, and it includes 3 districts, 8 towns, and 4 village units. Regarding its altitude of 2,166 meters, Shahr-e Kord is the highest city in Iran and is called Bam-e-Iran (the roof of Iran). a. Tourist attractions: Zaneh Spring in Hafshejan, Mayak Spring in Soureshjan, Vaght-o Saa’at Spring in Shams-Abad village, Sar-Cheshmeh Park in Farrokhshahr, Bidakan Dam, Mellet Park in Shahr-e Kord, Tang-e-Sayyad Sanctuary, and so on. b. Historical and religious monuments: cultural-religious complex of Chaleshtor Castle, Azadeh Chaleshtori’s House, Esfand-Khan Bakhtiari (The 1st Sardar Asa’ad) Castle in Chaleshtor, Amir Mojahed Castle in Shams-Abad village, Nasir-Ahan Bakhtiari (Sardar-e Jang) Castle in Sourk village, Farrokhshahr Anthropology Museum, Sahr-e Kian Anthropology Museum, Chaleshtor Castle’s Stone and Anthropology Museum, Shahr-e Kord Archeology Museum (Parhizgar Historical Bath), Natural Environment Museum (next to Farrokhshahr Road Police), Holy Defense Museum in Shahr-e Kord, Amouzesh va Parvaresh Treasure in Shahr-e Kord, Farrokhshahr Historical Bath, Chaleshtor Historical Bath, Soureshjan Historical Bath, Shahr-e Kord Mirror Room, Azizollah Shrine in Shahr-e Kian, Halimeh and Hakime Khatoun Shrines in Shahr-e Kord, Abdollah Shrine in Sourk village, Pir-Khadijeh Shrine in Vanan village, Soltan-e Sabze-Poush Shrine, Seyyed Mohammad Ali Akbar Shrine in Dastgerd village, Shah-Manzar Shrine in Hafshejan, Seyyed Ali Akbar Shrine in Nafch, Chaleshtor Jama Mosque (Congregational Mosque), Historical mosque in Harchegan village, Sahr-e Kian Congregational Mosque, Sahrekord Congregational Mosque (Khan Mosque), Arbab-Mirza Drinking Fountain in Shahr-e Kord, Salehi Mill (Assarkhane-ye Salehi) in Farrokhshahr, Gardane-Rokh Inscriptions, Hafshejan’s Engraving, and so on. c. Handicrafts: Common handicrafts in Shahr-e Kordinclude kilim (flat tapestry-woven carpets or rugs or as said in the local dialect “Gelim”), local clothes, carpet, felt, Espadrille (cotton shoes or Giveh) production, traditional carving, painting, illuminated manuscripts and tashe’ir, metal objects, traditional locksmithing, Sermeh embroidery, and so on. d. Local souvenir: The most important souvenirs of Shahr-e Kord include felt clothing, kinds of Nabat (a kind of candy which is sold in tea and drunk) and Poolaki (a kind of candy usually eaten together with tea), honey, herbals, and so on. Ardal Township whose center is Ardal city is located 77 km southwest of Shahr-e Kord and is 1,854 square kilometers big. Its population is 53,514 and it consists of 2 districts, 4 towns, and 4 village units. Its altitude is 1,850 meters. a. Tourist attractions: the banks of The Karoun River from Dashtak to Karoun4 Bridge and Lake, Sardab Spring in Rostam-Abad village, Mola Spring in Alikouh village, Sarkhoun Spring, Deh-No Spring, Aziz-Abad village Spring, Shalil and Morvarid Springs, the beautiful Spring and unspoiled countryside of Badreh-ye Semi in Dinaran, Absardeh Spring, and Kori village Springs in Dinaran District, Zard-Limeh Waterfall, Behesht-Abad village’s countryside, Helen Sanctuary in Miankouh, the forests and natural views of Haft-Piran-e Rougar, Gandomkar Forest Park, Shiasi Forest Park, Ghorab Plain’s natural views in Dinaran, Ardal Cave, Morvarid Bridge, Dezpart historical nomads’ path. b. Historical and religious monuments: Behesht-Abad Historical Bridge, Shalil’s Caravanserai, Halimeh-Khatoun Shrine in Sarpir village in Dashtak, Shah-Alborz Shrine in A’alikouh village, Tourist-Pilgrimage Complex of Shahzadeh Abdollah (Prince Abdollah) in Ardal, Ismaeil Shrine in Dourak Ghanbari village, Bakhtiaris’ Tekyeh (house of worship) in Ardal, the remains of Abolghassem Khan-e Bakhtiari’s Castle in Ardal, Davazdah-Imam village’s bridge and shrine, Morvarid Bridge’s inscriptions and engravings, and so on. c. Handicrafts: Common handicrafts of Ardal include Kilim (or Gelim), Jajim (coarse wool blankets), Saddlebag, local clothes, Sermeh embroidery, and so on. d. Local souvenir: The most important souvenirs of Ardal are different kinds of dairy foods, local carpets, and nomads’ handicrafts. 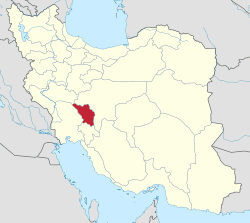 Boroujen Township whose center is Boroujen city is located 60 km away from Shahr-e Kord. This township is 2,257 square kilometers big. Its population is 118,000 and it includes 3 districts, 6 towns, and 5 village units. This city is 2,220 meters high above the sea level. a. Tourist attractions: Siasard Spring and public walk, Zaghi Spring in Deh-No village, Gelougerd Spring, Ab-Sefid Spring, Ali Spring in Imam Gheys village, Mother & Daughter Spring in Gandoman, Haft-Cheshmeh Spring in Boldaji, Choghakhor International Pond, Gandoman Pond, Chaleh-Tar Pond, Gerdeh-Bishe countryside, Mt. Kallar and Mt. Sabz-Kouh heights, Tang-e Vastegan (Vastegan Valley), gardens around Choghakhor and Avargan, Bozyal Park in Boldaji, Qizil-Garish Park in Faradonbeh, Mellat Park in Boroujen, and so on. b. Historical and religious monuments: Mosalla Bridge in Boroujen, the Hafizis’ House (which has been turned into an Anthropology Museum) in Boroujen, Hamzeh-Ali Shrine in Boldaji, Sheys and Gheys Shrine in Imam Gheys village, the remains of Zargham-o Saltaneh Bakhtiari’s Castle in Faradonbeh, the remains of Sefid-Dasht Castle, Soltan Ebrahim Shrine in Sarpir village, Asgar Ali Shrine, and Mother & Daughter Shrine in Gandoman, Mir Heydar Shah Shrine in Naghneh, Naghneh Jama (Congregational) Mosque, Madani Mosque and Sheikh-Ali mosque in Boroujen, Boldaji’s Ghale’eh-No (or Abouzar) and Imam Mosques, the Bath in Boroujen’s Maktab-Khaneh (old school), Gandoman Historical Bath, Boldaji Historical Bath, Sefid-Dasht Historical Bath, Ma’amoureh village’s church, and so on. 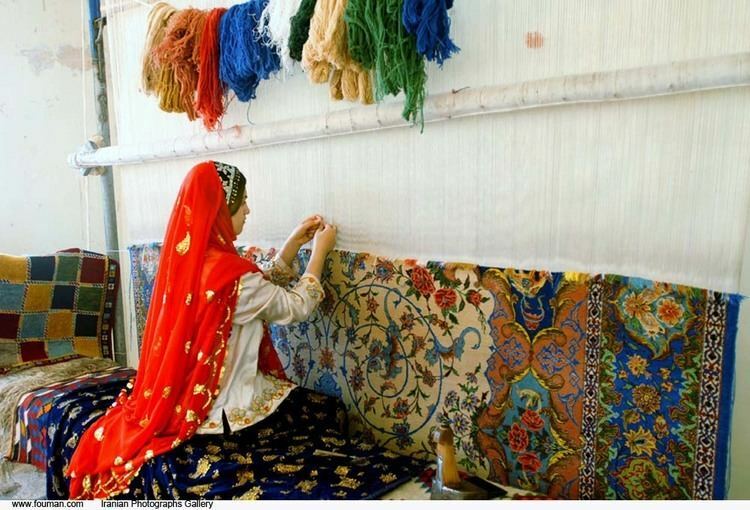 c. Handicrafts: Common handicrafts of Boroujen include different kinds of carpet weaving stuff like Kilim (or Gelim) and local clothing, felt, Espadrille (cotton shoes or Giveh) production, and so on. d. Local souvenir: The most important souvenirs of Boroujen are Boldaji Gaz, different kinds of dairy foods, kinds of Kilim (Gelim), Gabbeh (a hand-woven pile rug of coarse quality and medium size) and carpet. Ben Township whose center is Ben is located 35 km away from Shahr-e Kord. This township is 798 square kilometers big. Its population is 27,367 and it includes 2 districts, 2 towns, and 4 village units. This city is 2000 meters high above sea level. a. Tourist attractions: Ben Pond and its public walk, Sheida Sanctuary, the banks of the lake of Zayandeh-Roud Dam, ski slopes of Bardeh and Sheikh-Shaban, and so on. b. Historical and religious monuments: Mohammad Hassan-Khan Bakhtiari’s castle in Bardeh, Seyyed Mohammad Shrine in Bardeh, Baba Pir-Ahmad Shrine, Seyyed Bahaoddin Shrine in Sheikh-Shaban, Hares-ibn-e-Ali shrine in Jamalou, Baba Mahmoud Shrine in Ben, historical bridges in Ben, historical bridge and bath in Ben, and so on. c. Handicrafts: Common handicrafts of Ben include inlaid manufactures, flower-designing in inlays, and so on. d. Local souvenir: The most important souvenirs of Ben are different kinds of dairy foods, honey, and so on. Saman Township whose center is Saman is located 25 km away from Shahr-e Kord. This township is 458 square kilometers big. Its population is 35,895 and it includes 2 districts, 1 town, and 4 village units. This city is 2000 meters high above sea level. a. Tourist attractions: historical Zaman-Khan bridge together with the public walk around it, the gardens and villages of Zayandeh-Roud banks from Zayande-Roud Dam to Saman, rafting in wavy waters in Savadjan, almond, walnut and peach gardens, and so on. b. Historical and religious monuments: Saman Jama (Congregational) Mosque, historical Yaseh-Chay village, historical bridge of Horeh, the remains of Horeh castle, the resting place of Saman Dehghani, and so on. c. Handicrafts: Common handicrafts of Saman include carpet weaving stuff especially Kilim (Gelim), carpet, rug, and so on. d. Local souvenir: The most important souvenirs of Saman are almond, walnut, and so on. Farsan Township whose center is Farsan is located 35 km away from Shahr-e Kord. This township is 558 square kilometers big. Its population is over 100,000 and it includes 3 districts, 6 towns, and 5 village units. This city is 2,100 meters high above sea level. a. Tourist attractions: Pir-e-Ghar Spring and Waterfall in Deh-Cheshmeh village, Sarab Spring and Sarab Cave in Omid-Abad village, Ghale’eh Spring in Farsan, Seyyed Isa Spring and Cave in Bidkal, Kafshineh Spring, Ab-Morad Public Walk in Cholicheh, Farsan Beach Park, Asa’adiyyeh Public Walk in Cholicheh, public park in Choubin village, Pazan-Pir Public Walk in Goujan, Mt. Jahanbin and Mt. Kolak heights and so on. b. Historical and religious monuments: Mashroutiyyat inscriptions and Parthian Tunnel in Pir-e-Ghar, Sardar Asa’ad Bakhtiari’s Castle in Jouneghan (which has been turned into a Handicrafts Museum), Jama (Congregational) Mosque in Farsan, Bakan inscription in Jouneghan, Tagh-Sangiha or Khan-Evi (Khan caravanserai) in Tang-e Darkesh Varkesh, Seyyed Mir Ahmad and Heidar-ibn-e-Malek Shrines in Baba Heidar, Seyyed Saeed Shrine in Cholicheh, Seyyed Mohammad Shrine in Farsan, shrine of Gousheh village, and so on. c. Handicrafts: Common handicrafts of Farsan include carpet weaving stuff like Kilim (Gelim), Jajim, Saddlebag, local clothes, and so on. d. Local souvenir: The most important souvenirs of Farsan are different kinds of dairy foods, herbals, honey, local clothes, and so on. Kouhrang Township whose center is Chelgerd is located 88 km away from Shahr-e Kord. This township is 3,684 square kilometers big. Its population is 35,915 and it includes 3 districts, 2 towns, and 7 village units. Kouhrang is the origin of nomads’ society and a major tourist attraction in the province. As the highest city in Iran, Kouhrang is 2,480 meters high above sea level. a. Tourist attractions: Sheikh Ali Khan Waterfall, the 1st Kouhrang Tunnel Waterfall and Kouhrang Dam, Kouhrang Spring, Dimeh Spring, Dezdaran-e Samsami Spring, Parak Spring and Gholam-Abad Cellar, the banks of the Bazoft River, Mavarz Spring in Bazoft, the plain of face-down tulips, Kouhrng Ski Slopes, the summer ski slopes of Chalmishan heights in Zard-Kouh, the heights and permanent ice caps of Zard-Kouh-e Bakhtiari, the banks of the Zayandeh-Roud River (Tang-e-Gazi), Chama Ice Cave, beautiful areas of Touf-e-Sefid and Bazoft, the wonderful stair-like village of Sar-Agha- Seyyed, the nomadic life of Bakhtiari tribe, and so on. b. Historical and religious monuments: the stair-like nomads’ path of Khoda-Afarin bridge in Bazoft, Algi and Shirin-O reliefs, Shahzadeh Ebrhim Shrine in Gerdou-Olia village, Shah-Abdol-Azim Shrine in Biregan, the remains of Dehnash and Tabarak Castles in Bazoft, Seyyed Saeed Shrine in Chelgerd, Seyyed Isa Shrine in Sar-Agha-Seyyed village, Bardegouries in Bazoft, Shir-e-Sangi, and so on. c. Handicrafts: Common handicrafts of Farsan include hand-woven stuff like Kilim (Gelim), Jajim, Saddlebag, local clothes, Sermeh embroidery, and so on. d. Local souvenir: The most important souvenirs of Kouhrang are different kinds of natural plants and vegetables, different kinds of dairy foods, honey, herbals, and so on. Kiar Township whose center is Shalamzar is located 30 km away from Shahr-e Kord. This township is 1,399 square kilometers big. Its population is 51,957 and it includes 2 districts, 4 towns, and 5 village units. Kiar is 2000 meters high above sea level and is called the land of historical castles. a. Tourist attractions: Shalamzar Spring (Shalamzar Lake), Sar-Asiyab Waterfall in Naghan, springs in Gahrou, Darre-Eshgh Waterfalls, the banks of the Karoun River, Tang-e-Zendan Waterfall, Sabz-Kouh Sanctuary and river, Ghale’eh-Tak Public Walk, the gardens of Gahrou and Naghan, rafting in wavy waters of the Karoun River, Souleghan Pond, and so on. b. Historical and religious monuments: Amir Mofakham Bakhtiari’s Castle in Dezzak village (which has been turned into clothes museum), the remains of Najaf Gholi Khan’s (Samsam-o Saltaneh) Castle in Shalamzar, the remains of Dastena Castle in Dastena village, the remains of the old bridge in Dopolan village, the historical bridge in Kharaji village, Maryak Shrine, Ismaeil Shrine in Berenjegan village, and so on. c. Handicrafts: Common handicrafts of Kiar include hand-woven stuff like Kilim (Gelim), Jajim, and so on. d. Local souvenir: The most important souvenirs of Kiar are different kinds of dairy foods, Nabat, Poolaki, and so on. Lordegan Township whose center is Lordegan city is located 160 km away from Shahr-e Kord. This township is 3,397 square kilometers big and is 1,700 meters high above sea level. Its population is 194,873 and includes 5 districts, 4 towns, and 11 village units. In the distant past, this city was the center of Fardan State which means the Land of Lori-speaking people. Nasser Khosro Ghobadiani mentioned Lordegan as “Lordejan” in his itinerary. a. Tourist attractions: Atashgah Waterfalls, Sendegan Spring, Barm Spring, Khani Spring, Oak forests of the area, Armand countryside, Barz and Shwarz beautiful sceneries, Char-Taghi Forest Park in Monch, Parvaz Forest Park, the banks of Karoun 4 Dam and the Khersan River, and so on. b. Historical and religious monuments: the remains of Dasht-e Pagard Fortress, Sardasht Tower, the remains of Ghale’eh Madraseh Fortress, the remains of Char-Taghi Monument in Monch, the historical mosque in Sounak village, Shah Abdorrahman Shrine in Bideleh village, Mil-Shah Shrine in Barz village, the shrine in Shahsavar village, Abbas Ali Shrine in Barjouei village, Hassan Shrine, and so on. c. Handicrafts: common handicrafts of Lordegan include hand-woven stuff like Kilim (Gelim), Jajim, saddlebag, local clothing, and so on. d. Local souvenir: the most important souvenirs of Lordegan are different kinds of dairy foods, herbals, local rice, and so on. In this page, was introduced, and various tourism in Chb including Geo, sport, rural, and Cultural and historical were discussed. We also introduced some important aspects of ChB for tourists including cultural heritage, picturesque and beautiful landscapes, amounts of precipitation, climate in different seasons, springs and rivers and different cities and regions. Now, ChB invites you to a party where you get freshened up from its fountains and saturated from the most salubrious water in Iran i.e. Dimeh Spring. It invites you to the feast of waters in Lordegan waterfalls so that you get to know the diligence and patience of its people in Dezpart, Taraz, Tang Faleh, Khoda-Afarin and Sefid-Kouh nomads’ paths. It opens a window to you through which you can see the architecture of Khan-Evi and Shalil caravanserais, the artistic work of carvers and painters in Chaleshtor and Dezzak castles, the hidden history of Sardar Asa’ad Fortress and Pir-e-Ghar and Dasht-e Laleh, and hundreds of other places; through this window, you can appreciate a little bit of the national heritage of this ancient land in the conjunction of nature, history, culture and art. K. K. Haftlang, and K. K. H. Lang, The book of Iran: A survey of the geography of Iran: Alhoda UK, 2003. D. Hatzfeld, M. Tatar, K. Priestley, and M. Ghafory-Ashtiany, “Seismological constraints on the crustal structure beneath the Zagros Mountain belt (Iran),” Geophysical Journal International, vol. 155, no. 2, pp. 403–410, 2003. N. L. Falcon, “Southern Iran: Zagros Mountains,” Geological Society, London, Special Publications, vol. 4, no. 1, pp. 199–211, 1974. M. Berberian, and I. Navai, “NAGHAN (CHAHAR MAHAL BAKHTIARI-HIGH ZAGROS, IRAN) EARTHQUAKE OF 6 APRIL 1977: A PRELIMINARY FIELD REPORT AND A SEISMOTECTONIC,” Contribution to the Seismotectonics of Iran (part II-III): In Commemoration of the 50th Anniversary of the Pahlavi Dynasty, no. 40, pp. 51, 1977. J. Ghayoumian, M. M. Saravi, S. Feiznia, B. Nouri, and A. Malekian, “Application of GIS techniques to determine areas most suitable for artificial groundwater recharge in a coastal aquifer in southern Iran,” Journal of Asian Earth Sciences, vol. 30, no. 2, pp. 364–374, 2007. K. Naddafi, H. Honari, and M. Ahmadi, “Water quality trend analysis for the Karoon River in Iran,” Environmental monitoring and assessment, vol. 134, no. 1-3, pp. 305–312, 2007. B. Aminzadeh, and S. Ghorashi, “Scenic landscape quality and recreational activities in natural forest parks, Iran,” International Journal of Environmental Research, vol. 1, no. 1, pp. 5–13, 2007. R. Graham, Iran: Routledge, 2011. U. COMPUTING, “Nomadic culture: cultural support for working anytime, anywhere,” 2005. L.-d. Chen, and C. L. Corritore, “A theoretical model of nomadic culture: assumptions, values, artifacts, and the impact on employee job satisfaction,” Communications of the Association for Information Systems, vol. 22, no. 1, pp. 13, 2008. A. Pirbaloutl, “Medicinal plants used in Chaharmahal and Bakhtyari districts of Iran,” Herba Polonica, vol. 55, no. 2, pp. 69–77, 2009. M. Afshoon, “The Bakhtiyari tribe: A historical perspective,” Global Journal on Advances Pure and Applied Sciences, vol. 4, 2014. J. Abolverdi, and D. Khalili, “Development of regional rainfall annual maxima for Southwestern Iran by L-moments,” Water resources management, vol. 24, no. 11, pp. 2501–2526, 2010. D. Shahbazi-Gahrouei, and M. Saeb, “Dose assessment and radioactivity of the mineral water resources of Dimeh springs in the Chaharmahal and Bakhtiari Province, Iran,” Nukleonika, vol. 53, pp. 31–34, 2008. All through this article the word “shrine” is used instead of “imam-zadeh” which means the imam’s offspring and is, in fact, the resting place of imam’s offspring. The spectacular architecture of Sar-Agha-Seyyed is popularly known as "The yard of the building above is the roof of the building below." Bard-e Gouri or Ostowdan (Astowdan) were graves carved in the mountains to bury the dead because Zoroastrians believed the corpses were filthy and should not be buried in soil.